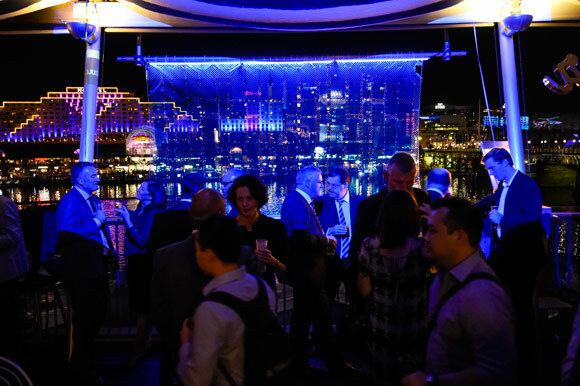 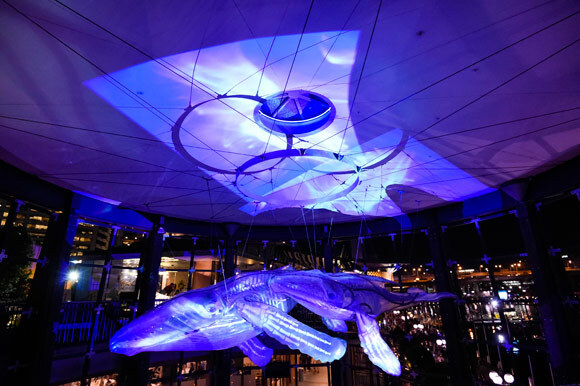 Wiltshire + Dimas continues its relationship with Vivid Sydney to shine spotlights on some of Sydney’s proudest assets. 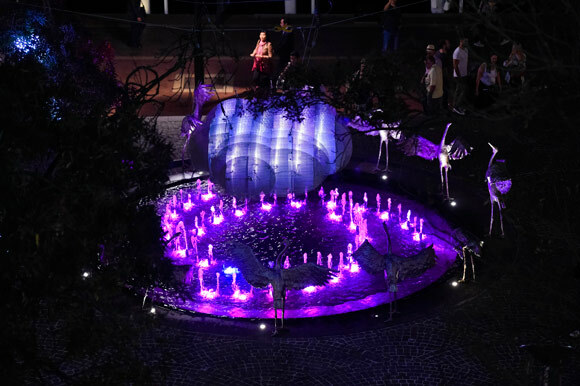 In 2014 we were proud to present OPTICA, a multi-site exhibition of light installations in and around Cockle Bay Wharf, against the background of the world’s most beautiful harbour. 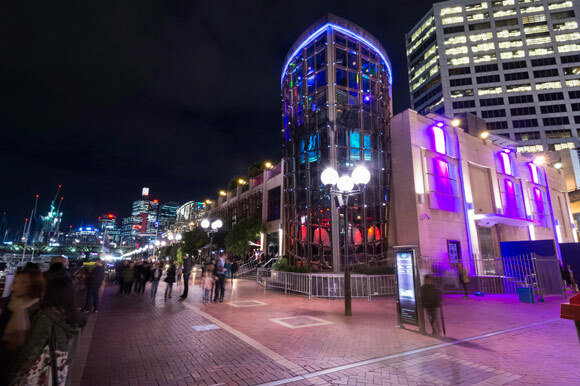 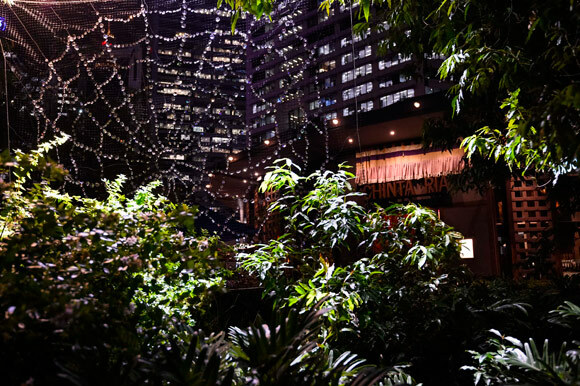 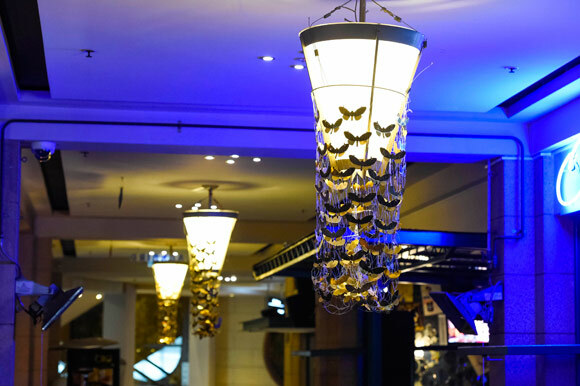 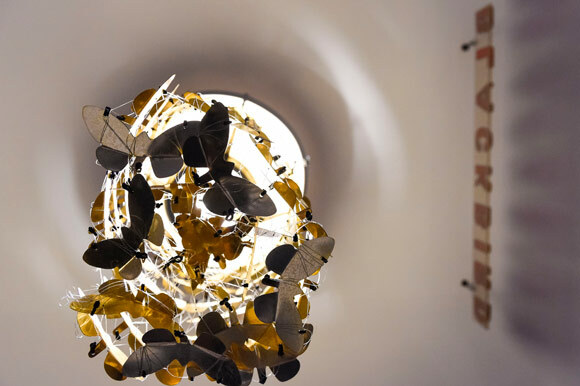 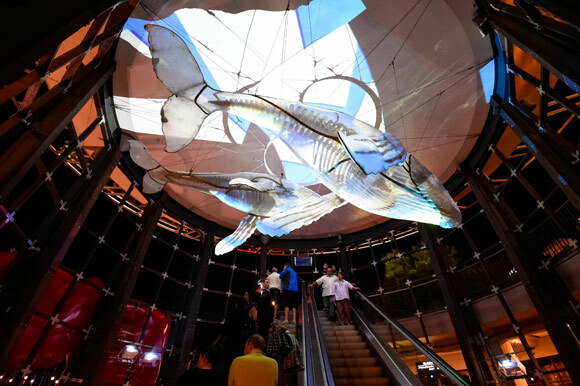 OPTICA’s artists and their works were commissioned by Sydney lighting design duo McDermott Baxter, and were situated both outdoors and inside some of the Wharf’s cornerstone venues, including Café Del Mar Sydney, Chinta Ria and Home Nightclub. 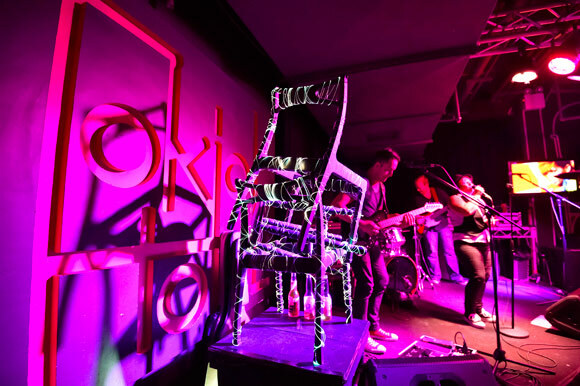 Home was also host to HOLEANDCORNER, a Vivid Live event featuring DJ sets by world class DJs Hot Chip, Henry Saiz, Matthew Dear and more. 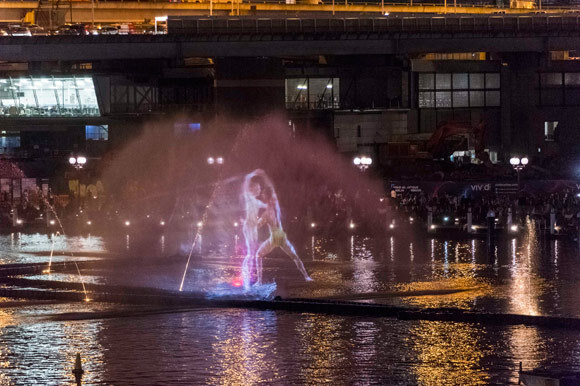 With Sydney Harbour as the stage and Cockle Bay Wharf the best seats in the house, French water show and lighting design experts Aquatique Show International presented Vivid Aquatique, a free public display of dancing water and shimmering light that transformed the harbour as we know it.